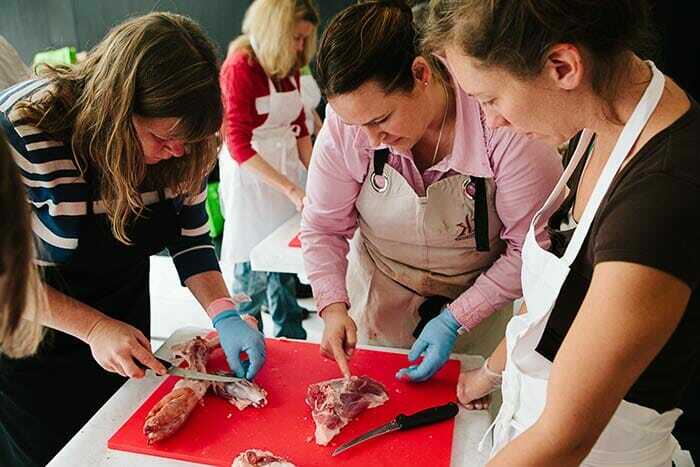 More and more women are learning the art of butchering, aided by master butchers like Kari Underly. It’s a Tuesday morning in May, nearing 8:30 a.m., and master butcher Kari Underly gets to work. She slides a knife through every seam of flesh, her hand sturdy and her cuts swift. “Know what to do with the kidneys?” Underly asks the intently watching, all-female crowd, as she grabs a slippery organ, her hand sheathed in a baby-blue latex glove. 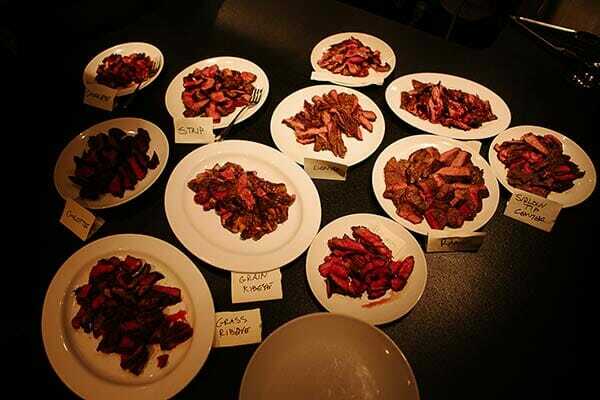 A third-generation butcher, Underly maximizes every single cut of meat off an animal. Her calculated technique and skills have resulted in top accolades. Among them, she is partially credited for the invention of the Flat Iron steak and is a James Beard Awards Finalist for her book, The Art of Beef Cutting. 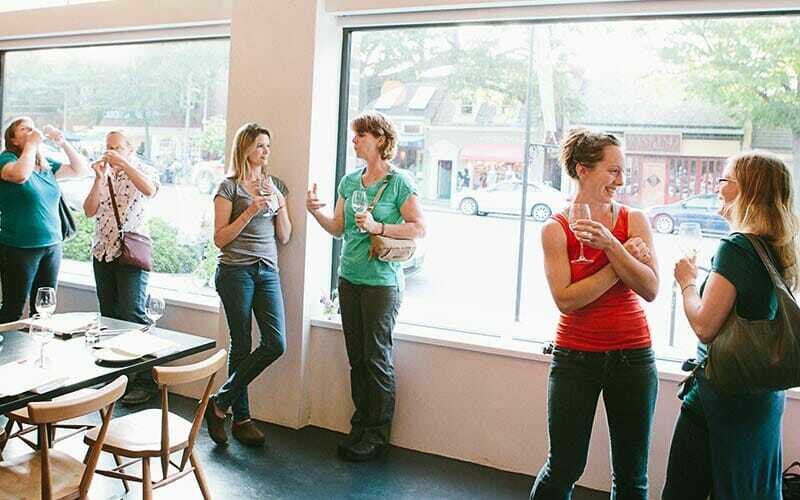 And she draws sold-out crowds to her workshops all over the country, like this one in Chapel Hill, North Carolina, where nonprofit organization NC Choices is hosting a two-day retreat exclusively for women in the meat business. Women of varying ages are here to attend the retreat. Some are young, fresh out of sustainable agriculture university programs or farm internships. Others have been at it awhile and want to change their game, to offer a better product for a better profit. Livestock farmers, meat processors, butchers and chefs come eager to learn how to grow a viable business in the niche meat industry. L-R: Karen Overton, Kari Underly, Meredith McKissick lean over a cut of pork. 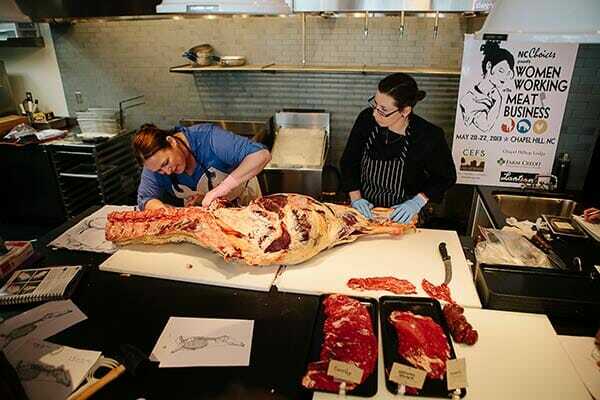 Kari Underly and Karen Fowler break down a side of beef. Cuts of beef by master butcher Kari Underly provided a feast for the last day. L-R: Karen Overton, Amy Price Neff, Erin Kiley, Kathleen Crocker, Meredith McKissick and Amy Ager share conversation in between sessions. Underly herself learned to butcher from her family. Like most women during the Great Depression, Underly’s paternal grandmother butchered her own meat on the farm they lived on because it’s just what she did. “She always had the odd bits on the stove, and she would always teach me. I didn’t realize she was teaching me about whole-animal utilization,” Underly says. Her parents took the skill further and opened up a butcher shop in Lydick, Indiana, when Underly was a kid. They had it for a few years before it became impossible to make a decent living. Her father closed down shop to cut meat for the convenient competitor. And it was at that supermarket meat counter that Underly found her high school gig – and her career. The idea of the all-female retreat in North Carolina arose after a general, statewide meat conference back in December, where many women participants expressed the desire to gather in a space where they could be heard, says Sarah Blacklin, NC Choices Project Coordinator. Pam LaHay traveled from Clinton, South Carolina, to attend the conference. Growing up, farm work was part of her daily routine. Today, she is a speech therapist who married a farmer. Alease Williams of D&A Farm in rural Autryville, North Carolina, joined the North Carolina Natural Hog Growers Association with her husband a few years ago. They both came from sharecropping families and raised hogs commercially before switching to a free pasture model. Now their product is sold at some Whole Foods stores in the region, but they are still a small operation in a very rural town. She came to the retreat because she wants to broaden their customer base, as well as her opportunities for education. After just one session, Williams holds pages full of notes. On a diagram of a hog, an arrow shows where to find the tenderloin. Hand-written details in the margins explain how to separate it. 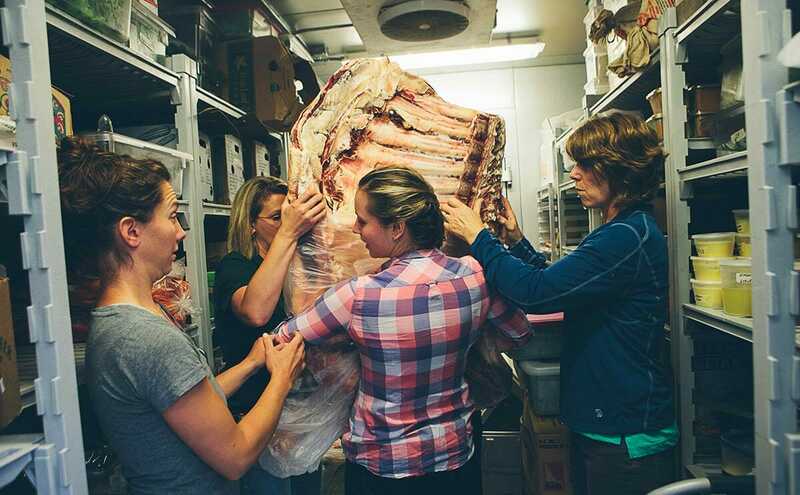 Blacklin says the niche meat market in North Carolina is steadily growing, and she thinks it will slowly change the industry, leaving it more open for women to be active in every link of the supply chain.